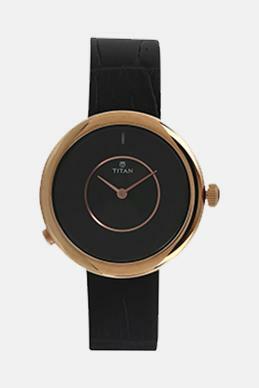 These top ten smart and contemporary watches for women will give a stylish look to the outift! It would be a great gift idea too for your loved one well within Rs.10,000. Watches are an essential part of our daily wear items. No matter what occasion or outfit, watches add an elegant touch to our looks. A watch showcases the wearer’s personality, hence, while choosing a watch there are many things to consider. An appropriate watch is what you need while dressing up for an occasion. Here are 10 best watches for women under Rs. 10,000. 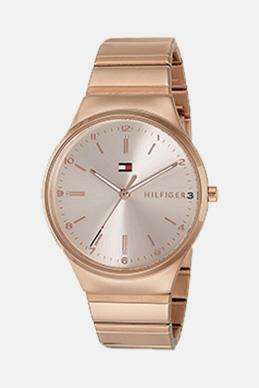 Rose gold is one of the most trending shades when it comes to watches. It makes for a perfect pick for a casual day outfit as well as for a formal occasion, which makes it one of the best watches for women. The rose gold belt gives it a classy look. 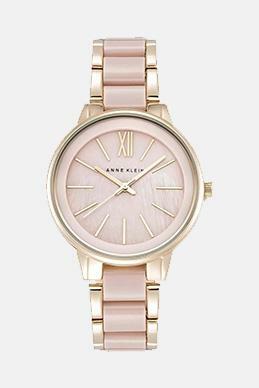 Along with this, the matching rose gold dial adds to its beauty. The chic design of the watch makes it look sophisticated. 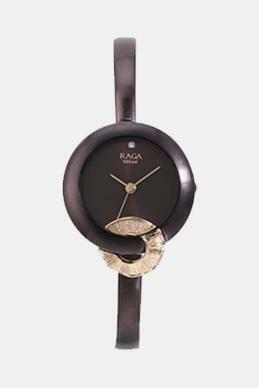 This champagne coloured timepiece by Titan Raga collection is the perfect watch which flaunts a dainty design. The square shaped dial differentiates it from the most watches, adding a touch of uniqueness. The bracelet strap style that sees a blend of champagne gold and silver makes it ideal for formal and casual settings. It comes with a matching metallic bracelet to be worn along with the watch. 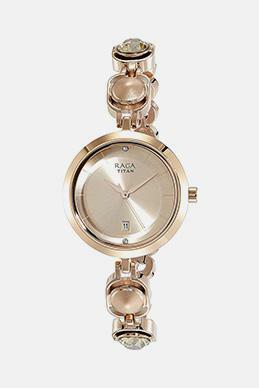 A gold strap watch is a must-have in every women collection. Not only does it look classy, but is equally versatile too. 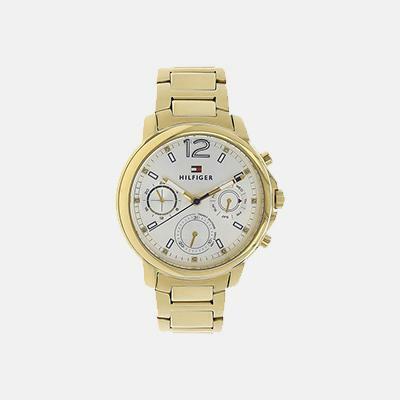 This watch has a gold strap with a contrasting white dial. You can wear it to a day event or a night party, it never loses its charm. 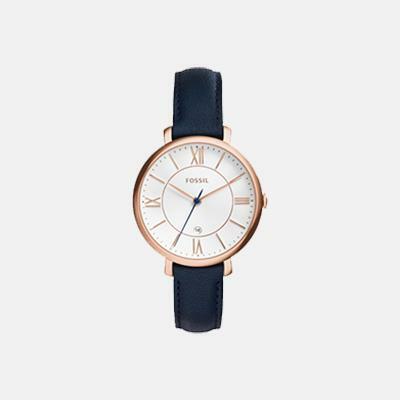 There’s something about this watch from Fossil that makes it look like a blend of contemporary and classy. If you’re someone who prefers the good old leather belt, this one’s for you. 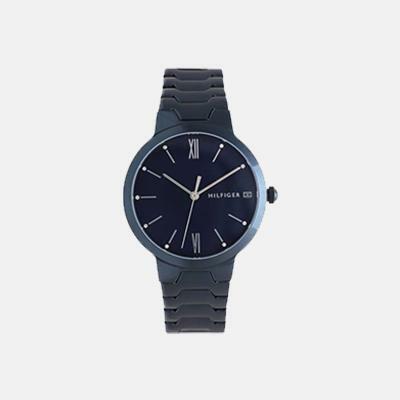 This minimal yet classy watch flaunts a blue leather belt looks that look ídapper. The round and white coloured dial gives the watch a more polished look. This elegant piece is ideal to wear at a formal event. 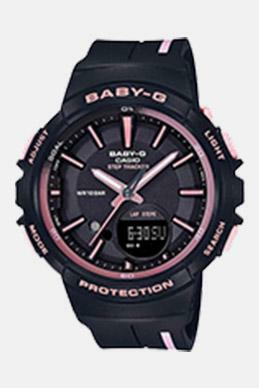 Trust Casio to bring to us beautiful yet classy timepieces. With this elegant watch, it stands true to its name. It is an excellent pick to flaunt your chic and uber cool style. 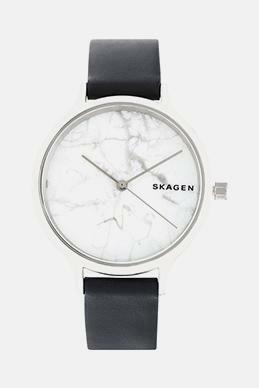 The premium quality resin white strap style with an Analogue- Digital display speaks for itself. 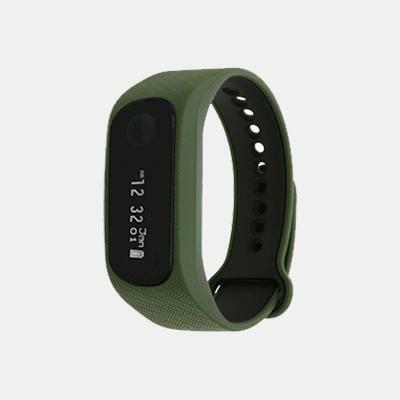 With superior quality, it boasts of having a water resistant capacity up to 100 meters. Smartwatches have successfully managed to come at par or even beyond classic watches. Here is one more from Fastrack. The military green colour looks smart and gives it a cool look. 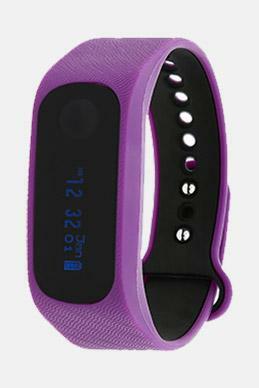 It features an OLED display and a touch button, also providing call and sms alerts. The most striking feature of this watch is its ability to acts as a remote to click pictures on your phone for those perfect selfies. 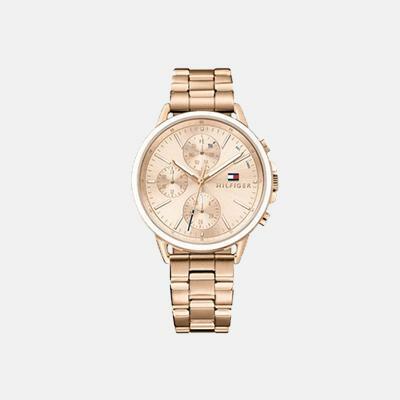 This Tommy Hilfiger watch is a stunner. The deep shaded stainless steel strap gives it a striking contemporary look. With a matching round dial, it is safe to say that this watch will be one of the classiest in your collection. 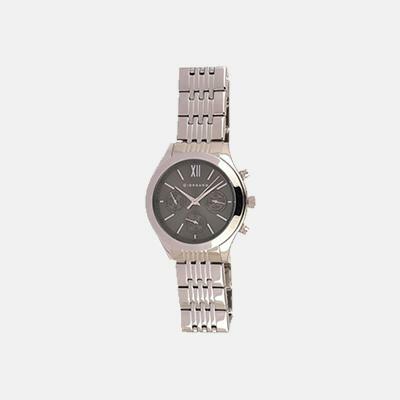 Giordano chronograph silver stainless steel watch combines fashion with functionality. This timepiece can be sported at casual as well as formal events. The round silver dial finishes off the look. It flaunts easy adjustment of time with three subdials on the crown. Not just that, it’s feminine look can make it pass for an accessory too! An all black watch is the only accessory you need in your closet. Be it formal or casual, the black watch does it all. 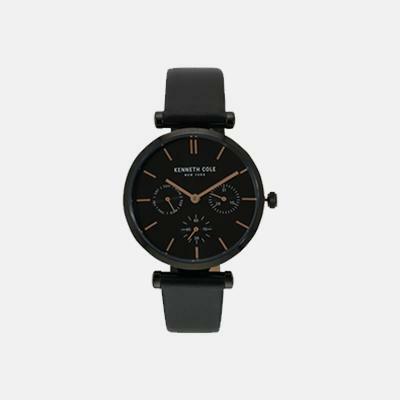 This black analogue piece is the stylish statement for your casual look. The unique belt strap adds a hint of elegance to the watch. The round black dial completes the look. 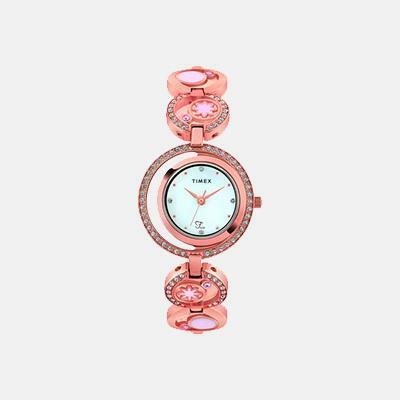 This graceful watch from Timex is the perfect pick for all your fancy events. The premium quality brass belt strap with rose gold round dial adds colour and dimension to the piece. The blue dial is a contrasting addition, giving it a unique look. 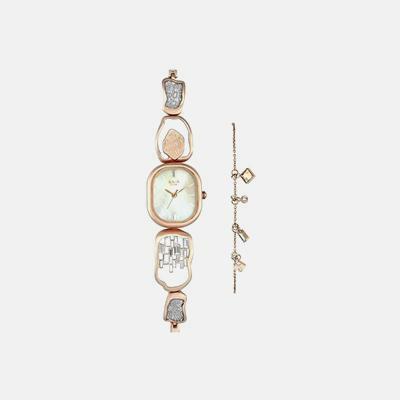 With so many options in hand of best watches for women, what are you waiting for? Choose a watch that suits your personality! Checkout our next Article "Makar Sankranti Ethnic Wear Style Guide"